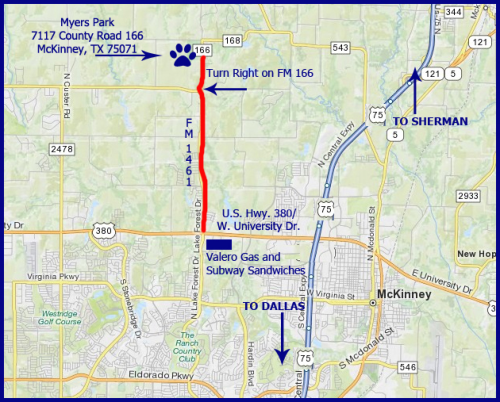 The town of McKinney is about 33 miles northeast of downtown Dallas on U.S. 75/North Central Expressway. 166 and go about 0.8 miles (8/10 of a mile) to the site which is on the left. The Show Barn and Indoor Arena is a 57,000 sq. ft. multipurpose building with an open floor plan, and may be used for many different occasions. 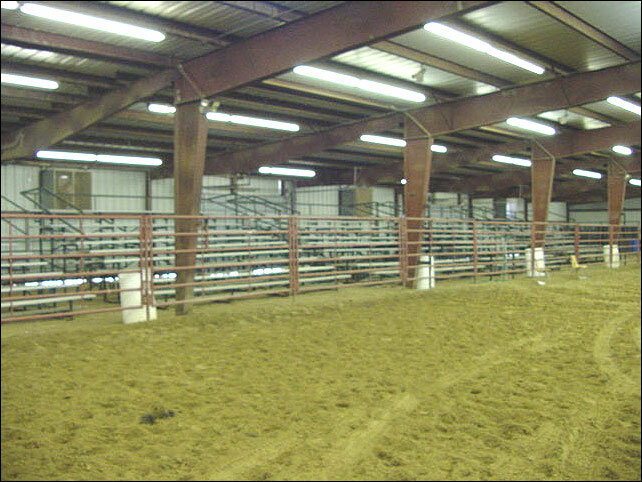 It is the perfect venue for livestock shows, dog shows, horse shows, circuses, expositions, banquets and fundraisers. This facility has concession, restroom and parking accommodations. 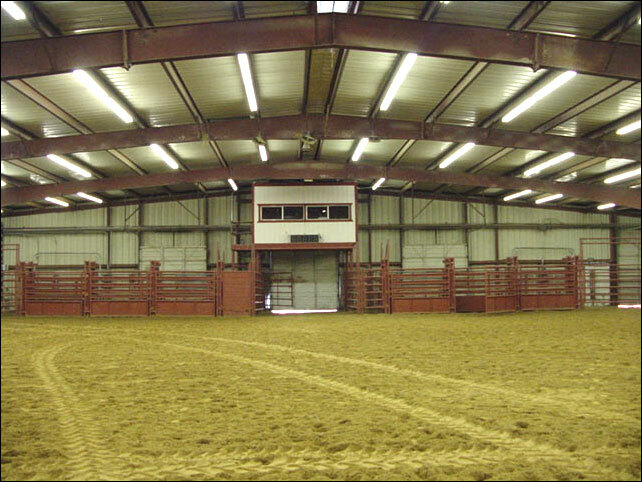 There are two main areas inside the Show Barn, a 90’ X 180’ main arena, and a 70’ X 150’ practice area. Each area may be set up in a multitude of configurations. Up to 1200 spectators may be seated in bleachers surrounding the main arena.